Carte Hall Certified Public Accountants is proud to be your strategic financial partner. 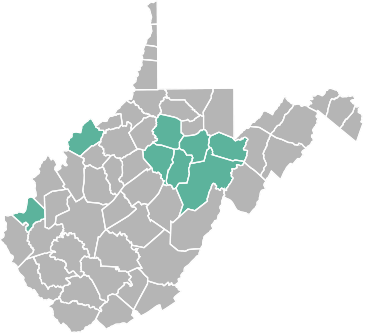 We have been trusted to bring order and highly effective business planning services to our clients since we first opened our doors in Elkins, WV. We continue to offer a wide range of valuable accounting opportunities for all business clients throughout our service area. No matter what size or type of business you are managing, our team will work with you to create a successful, comprehensive growth strategy. We are proud of our exceptional record of assisting our clients to reach their goals effectively without exposure to unnecessary risk. Carte Hall backs your interests for life, providing superior experience-based insight from startup, through mergers, and to retirement. Our assistance includes complete financial setup for your business to expansions and adding new ventures. We provide solid business analysis and consulting services to help ensure that your company is on the optimal path at all times. Certified public accountants, John W. Carte and R. Heather Hall, provide the support necessary to build a solid foundation such that your businesses’ potential for growth is limited only by your personal commitment and drive to succeed. Our team handles many of the labor-intensive financial tasks for you so that you are able to access more time to focus on your business. Leave it to us. Our team is trusted to help our clients meet business goals based on sustainable models and effective financial planning. We offer full bookkeeping, payroll, tax planning and preparation, business valuation, debt and financing services, and much more. If you prefer to handle payroll in-house, we also provide professional Quickbooks setup and hands-on training. Contact Carte Hall Certified Public Accountants in Elkins, WV, for everything from startup services, assistance with daily business operations, developing an effective business plan, attracting financing and investors, and handling debt and tax liabilities to maintain compliance with your legal obligations without sacrificing your bottom line. Learn more about how we can help your business thrive. Call to schedule an appointment at: (304) 637-2369.